Aria Henderson with SoulSpice Photography photographs kids in dance companies. 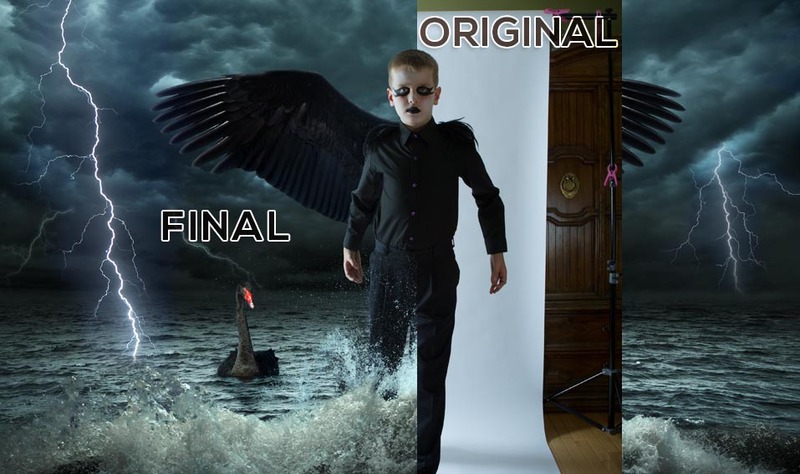 This boy wanted to do a dramatic shot themed after the Black Swan ballet. I have included part of her original shot to show her mobile set up that she takes to families homes. In addition to the background, I added the wings, splashing water, the lighting and of course the black swan.